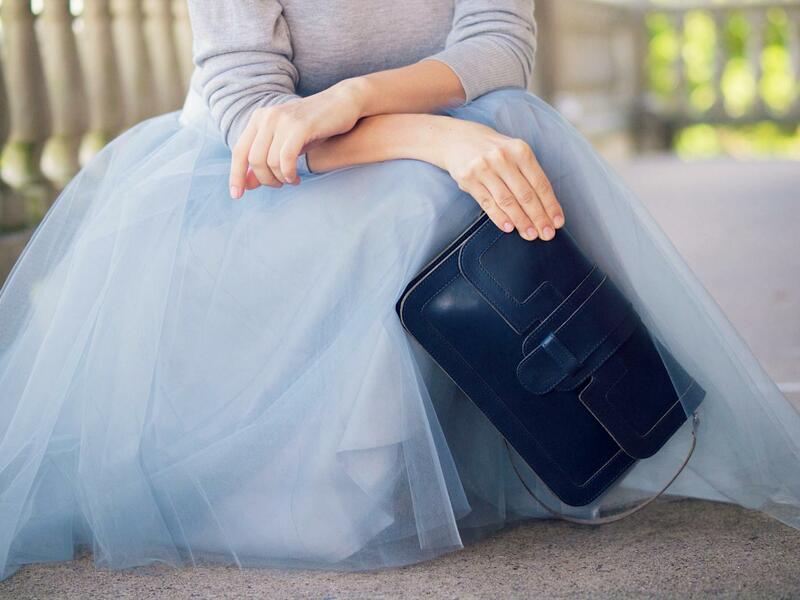 Here I am again with a tulle skirt story, to tell and show … I've always said that you don't have to be a ballerina to wear a tutu skirt... these days everything is possible and allowed. As a lover of feminine style and femininity in general, I'm not shy when it comes to going ladylike all the way. This time I opted for a more sophisticated color- Dusty Blue - and I created a monochrome look with the well-known Bittersweet Colours signature: a pop of colour with the shoes and bag. It doesn’t take too much to create a look like this, just make sure to keep it simple with the accessories. The fun it is guaranteed! Wow, that skirt is majestic!!! You look incredible! Such a princess outfit! Loved that you’ve chose an improbable color for your tulle, and even added some yellow! This is SO pretty!! I love this skirt and the heels. Gorgeous! Such a simple and so fabulous look. Stunning look! Love the skirt!